and for the ideal relationship between business and people's lives. We reduce the environmental impact with innovative technology and techniques in our manufacturing processes. 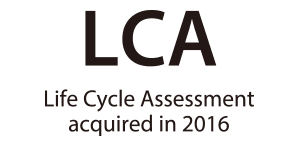 Life cycle assessment involves examining and assessing the development and design of products with a low environmental impact. 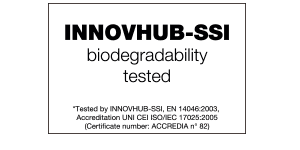 Asahi Kasei is working to further reduce the environmental impact of Bemberg based on this assessment. This is a track and trace certification program applied to companies that produce products including recycled material.Fibers & Textiles that are made by recycling pre-consumer waste and that have traceability from raw material used to finished products shipped. The cotton linters used to make Bemberg are fibers that are not normally used. 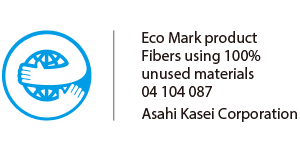 As a fiber with a low environmental impact made by recycling waste, Bemberg is certified as an eco product by Eco Mark. The STANDARD 100 by OEKO-TEX® is a worldwide consistent, independent testing and certification system for raw, semi-finished, and finished textile products at all processing levels. Its aims is to level out global differences regarding the assessment of possible harmful substances in textiles. 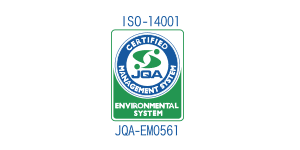 Asahi Kasei obtained ISO14001, the international standard for environment management systems, in recognition of the establishment of systems to continuously reduce and prevent the environmental impacts of its corporate activities, products and services.